Looking for Yankees Tickets? Click here for a great selection and great prices! Yankees fans looking for other forms of entertainment particularly those online may like to try their luck playing at an online casino many of which offer baseball theme games. Test out some great US online casino sites by visiting http://www.bestusacasinosites.com today. New York is on the verge of legalizing online gambling, which could include betting on sports like baseball and online poker games. Beat The Fish has been reviewing the online poker side for more than a decade. Check out the best binary option robot here. ADVERTISE WITH US! INQUIRE HERE! 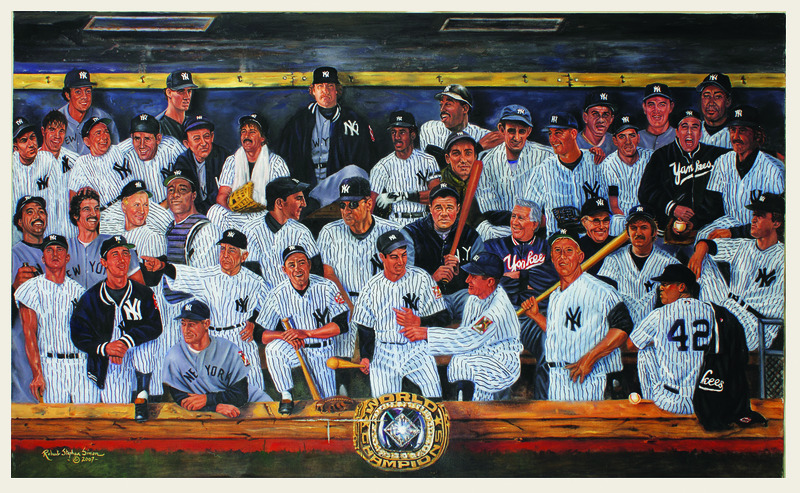 This site is dedicated to the entire history of the New York Yankees. There are many sites which give scores and transactions, but there is no website like this around. 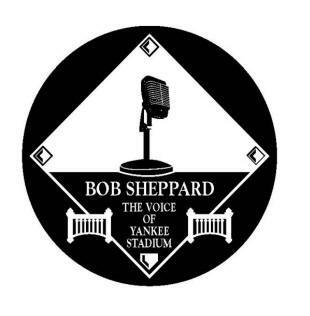 Make this your first stop when it comes to information on the Bronx Bombers. An in-depth historical and biographical look into the world's most successful franchise ever...the New York Yankees. Ruth Gets Medal of Freedom! THE 2019 SEASON IS ON! The IL Grows! When Do They Return? 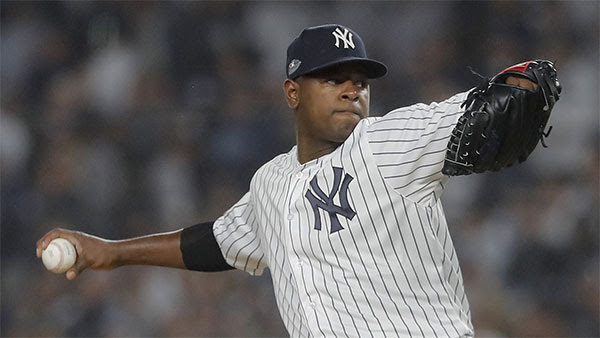 The New York Yankees announced today they have signed RHP Luis Severino to a four-year contract extending through the 2022 season, with a club option for the 2023 season. Severino, 24, went 19-8 with a 3.39 ERA (191.1IP, 173H, 76R/72ER, 46BB, 220K, 19HR) and one complete game in 32 starts in 2018. Named an All-Star for the second consecutive season, Severino ranked third in both the Majors and AL in wins. 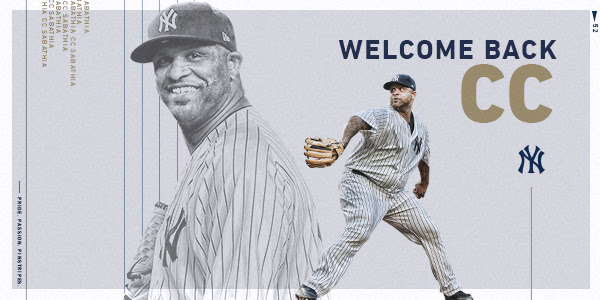 His 19 victories were the most by a Yankees pitcher since CC Sabathia also went 19-8 in 2011. Severino’s 220K were eighth-most in the AL in 2018 and were the sixth-most in a single season in Yankees history. 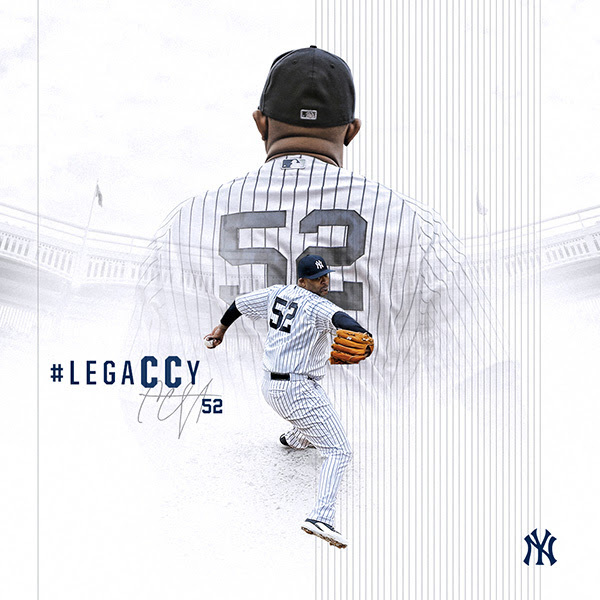 Over the past two seasons, the right-hander is 33-14 with a 3.18 ERA (384.2IP, 136ER) and 450K in 63 starts, with the Yankees going 44-19 in those games. His 33 wins are the fourth-most in Baseball over that span, and his 450K rank eighth. Additionally, in 2017, he finished third in AL Cy Young Award voting. FIRST EVER 100%!!!!!! CONGRATS MO!!!!! 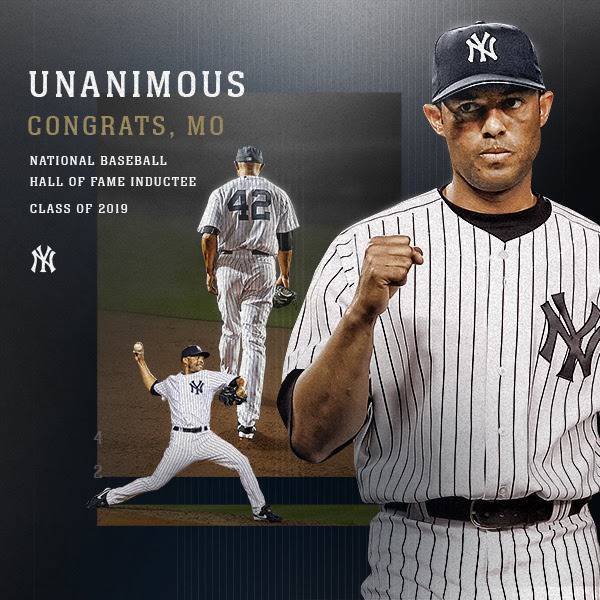 National Baseball Hall of Fame President Jeff Idelson announced on MLB Network that Yankees great Mariano Rivera was among four players elected today into the National Baseball Hall of Fame as part of the Class of 2019. Rivera is the first player in history to appear on every ballot cast by eligible members of the Baseball Writers' Association of America. Let's Get Munson in the HOF! Is The Baseball HOF Ready for Munson? 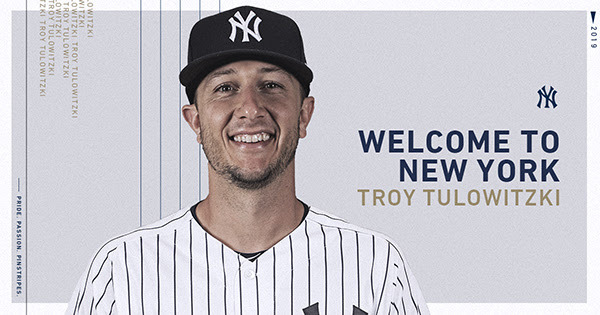 The New York Yankees today announced that they have signed shortstop Troy Tulowitzkito a one-year Major League contract. Tulowitzki, 34, missed the entire 2018 season with bone spurs in his right and left heels. The right-handed batter appeared in 66 games for the Blue Jays in 2017, batting .249 (60-for-241) with 16R, 10 doubles, 7HR and 26RBI. The Santa Clara, Calif., native played his first 10 seasons with the Colorado Rockies, making five NL All-Star teams (2010-11, ’13-15) and winning two Gold Gloves (2010-11) and two Silver Slugger Awards (2010-11). He was acquired by the Toronto Blue Jays with RHP LaTroy Hawkins from the Rockies on July 27, 2015 in exchange for SS Jose Reyes, RHP Jeff Hoffman, RHP Miguel Castro and RHP Jesus Tinoco. During his 12-year Major League career, Tulowitzki has batted .290/.361/.495 (1,389-for-4,793) with 761R, 263 doubles, 224HR, 779RBI and 509BB in 1,286 games with the Rockies (2006-15) and Blue Jays (2015-17). His .985 fielding percentage (91E/5,916TC) is the second-highest in baseball history among shortstops (min. 650 games). 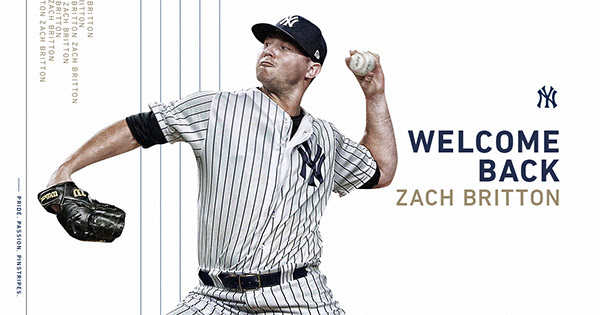 The New York Yankees today officially announced they have signed LHP J.A. Happ to a two-year contract through the 2020 season with a vesting option for 2021. 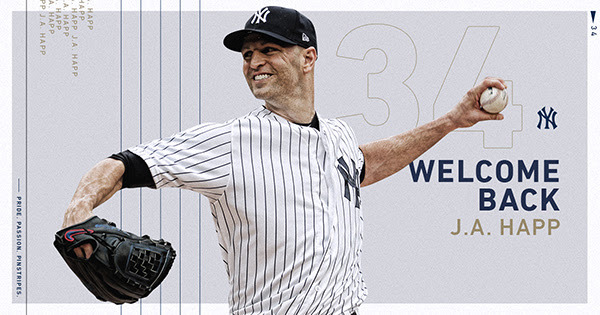 After being acquired by the Yankees from Toronto on July 26, 2018, in exchange for INF Brandon Drury and OF Billy McKinney, Happ, 36, went 7-0 with a 2.69 ERA (63.2IP, 51H, 20R/19ER, 16BB, 63K, 10HR) in 11 starts. 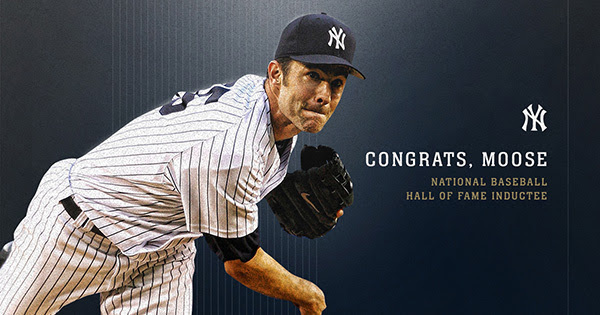 He won his first five starts with the club, becoming the first pitcher to start and win each of his first five appearances since Bob Turley in 1955. Happ’s current 12-start unbeaten streak is tied for the third-longest active streak in the Majors. In 2018, Happ combined to go 17-6 with a 3.65 ERA (177.2IP, 150H, 81R/72ER, 51BB, 193K, 27HR) in 31 starts with the Blue Jays and Yankees. The native of Spring Valley, Ill. tied for the fourth-most wins in the AL (seventh in the Majors) and was named an AL All-Star, his first career All-Star selection. He set career highs in strikeouts, K/9.0IP ratio (9.78) and strikeout rate (26.3 percent). 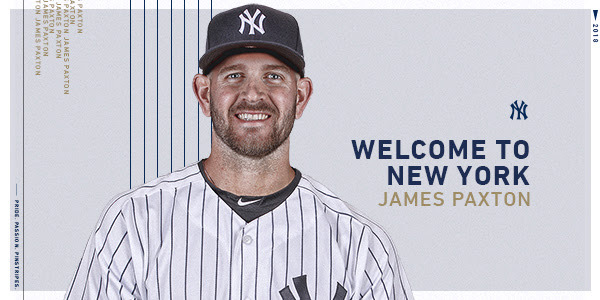 The New York Yankees today announced that they have acquired LHP James Paxton from Seattle in exchange for LHP Justus Sheffield, RHP Erik Swanson and OF Dom Thompson-Williams. Who Will the Yankees Target for Pitching? Cashman Must Take Much of the Blame! 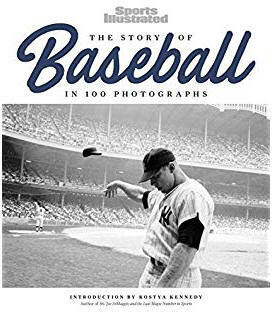 The Story of Baseball: In 100 Photographs! Looking for a great holiday gift for a baseball fan? This is it! Clearly a picture is worth a 1000 words and this book does it all! through these amazing photographs and their stories. addition to any baseball book collection! Order the book HERE today in time for the holidays! See New Incredible Footage of Ruth and Gehrig from 1931! A great piece about legendary broadcaster Suzyn Waldman. Be sure to check out The POGG Sports Betting Forum! With 162 games to play and the season barely a month old, it is tough to predict who might win the World Series but the divisions are already taking shape. The Chicago Cubs were many pundits’ pick to make it back-to-back championships after they took care of the Cleveland Indians last year but have yet to make a real mark on the National League Central. With a winning percentage just above the .500 mark, they sit third in the standings behind Cincinnati and St Louis while Milwaukee are also right there and even fifth-placed Pittsburgh are by no means adrift. However, they appear to be the most complete team in baseball at the moment with a rotation that includes Jon Lester, Jake Arrieta and Kyle Hendricks. 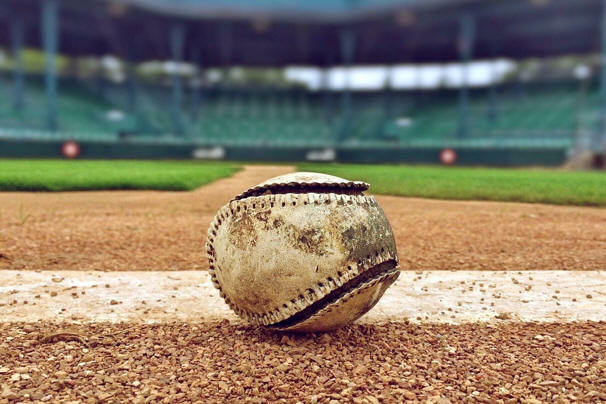 However, if you fancy taking a punt on the Cubs, these baseball betting tips may be worth viewing before placing a wager. Third baseman Kris Bryant leads the team with six home runs and 16 RBI and has already drawn 22 walks this term, while Anthony Rizzo, Kyle Schwarber and Jason Heyward have all been productive. The main pitching staff all had miserly ERAs last season but Hendriks is up at 3.51 while Arrieta needs to lower his from 4.63 if they are to justify odds of 4/1. The Indians (7/1) are once again thought of as World Series material and have established a slight lead at the top of the American League Central. The addition of Edwin Encarnacion could be the final piece of the puzzle to take the 2016 runners-up all the way this year. Coming off a 42 home run, 127 RBI campaign, the 34-year-old has hit five out of the park so far but has yet to really get hot. Third baseman Jose Ramirez has picked up the slack, with 23 RBIs and 15 runs scored while Francisco Lindor leads the team in runs scored and is on track to beat his season record for homers. While the Cubs and Indians have garnered many column inches in the build up to the season, it is by no means two-horse race, with the New York Yankees (14/1) and Baltimore Oriels (20/1) making a sensational start in the AL East. For the Yankees, second-year right fielder Aaron Judge leads the team with 13 homers are 28 RBIs, while Starlin Castro is batting at above .350 with 21 runs scored, and the pair will be crucial to the Big Apple outfit’s chances of going all the way. The Boston Red Sox, currently priced at around 6/1 to win the World Series, are four games back and are indebted to lefty Chris Sale, who has won three games riding a 1.92 ERA. Conversely, Steven Wright has given up 22 earned runs in five outings at an ERA of 8.25 and will need to step up to give his side the consistency they need to close the gap on the leading duo. The Washington Nationals (8/1) are already streets ahead in the NL East and will surely romp to the play-offs while the Colorado Rockies are clear of the Los Angeles Dodgers in the West. That is a battle that could go all the way, while Arizona are not too far behind and could have a say in proceedings. Houston Astros have never won a World Series and will probably come up short once again in 2017 but they have made an excellent start in the AL West thanks to the pitching of Dallas Keuchel. The 29-year-old has a 5-0 record with an ERA of just 1.88 and is carrying the team at the moment. The problem is he can only pitch every five days and the other starters need to up their game. The marathon MLB season still has many months to run and injuries and dips in form will come in to play but, even at the early stage, it is going to take a special side to chop down the Indians. Someone recently sent me this video about Old Yankee Stadium. Check it out today! Very historical and powerful! Let's Get Munson in the Hall of Fame! Check our the All-Time New York Yankees Jersey Number list. 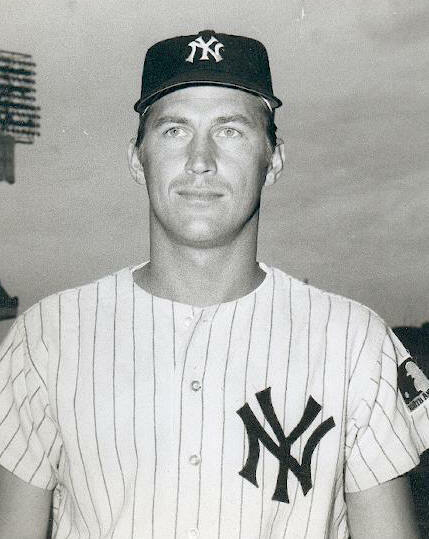 Ever wonder who wore what number while playing for the Yankees? New York Yankees Jersey Number databases around. Below is an amazing oil painting by Robert Stephen Simon. It is a huge 3 foor by 5 foot painting. It was recently featured on Goldin Auctions and sold for over $5000. What an amazing piece!!! Click on it to see it larger! An in-depth historical and biographical look at the world's most successful franchise ever...the New York Yankees. Commemorate Old Yankee Stadium and Gate 2! This is one the most informative unofficial New York Yankees site on the Internet! Sit back and enjoy. 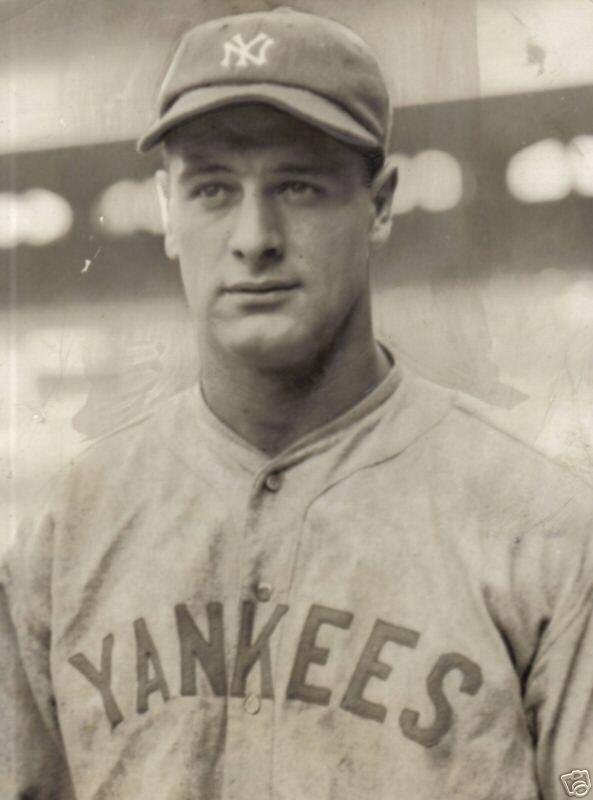 Though there is a TON of current information on the Yankees here, this site is dedicated to the entire history of the Yankees franchise. 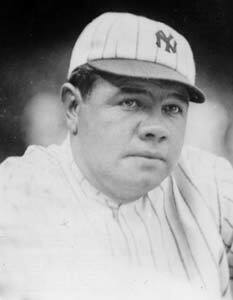 Check out all the great biographical and historical information on the Yankees. Only from ultimateyankees.com. 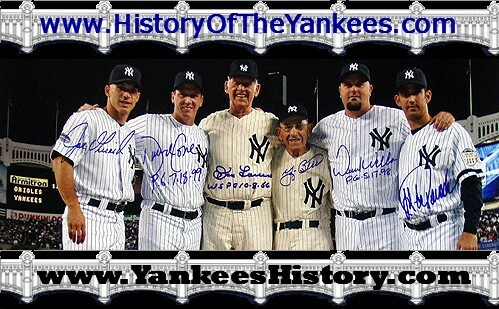 This site is updated weekly so check back often to keep up to date on your New York Yankees. Copyright © 2018 www.HistoryOfTheYankees.com. All Rights Reserved. 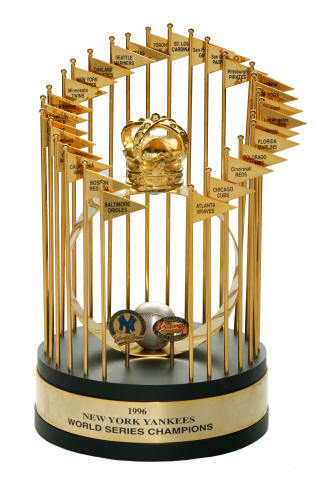 The 1996 World Series Trophy - My favorite!!!! Looking for a great holiday read? Grab a copy of this amazing book today! 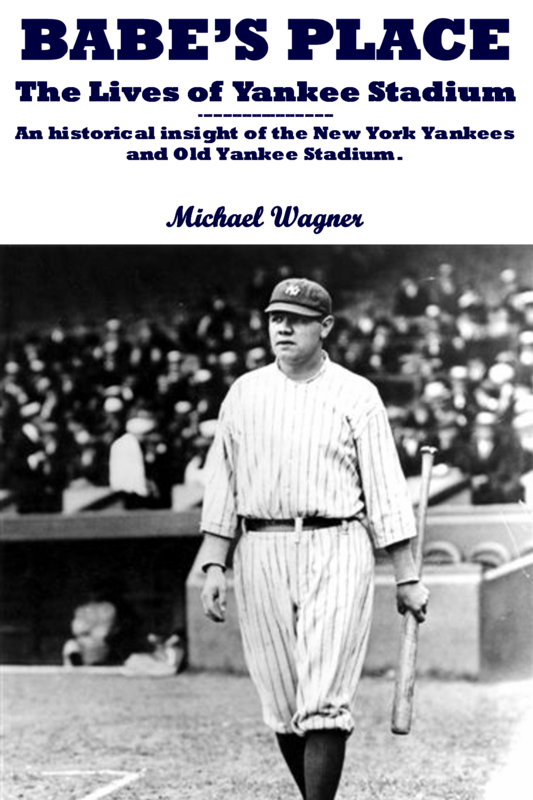 about the New York Yankees and the construction of Old Yankee Stadium into one book! The book can be purchased directly in electronic format by clicking here!